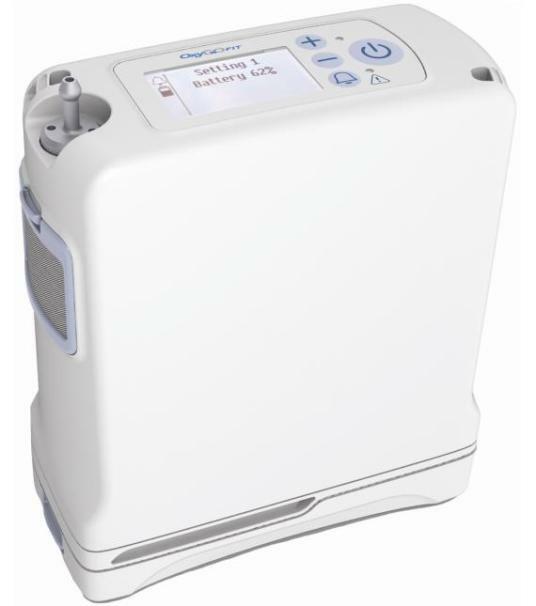 The OxyGo FIT Portable Oxygen Concentrator has 3 intelligent pulse flow settings and is about half the size of OxyGo. The OxyGo FIT is also small enough to be worn on a patient's hip. The OxyGo FIT has simple control functions and easy-to-read LCD display. Designed for 24/7 use, at home or away. Financing is also available for this unit, contact us to request an application. Weighs 2.8 lbs, Single Cell Battery lasts 2.25 hours (at setting 2). Weighs 3.29 lbs, Double Cell Battery duration 4.5 hours (at setting 2). The OxyGo POC standard warranty included with the product is the five (5) years, excluding the sieve beds and battery, which are covered for one (1) year. The OxyGO FIT standard warranty is three (3) years,excluding the sieve beds and battery, which are covered for one (1) year.